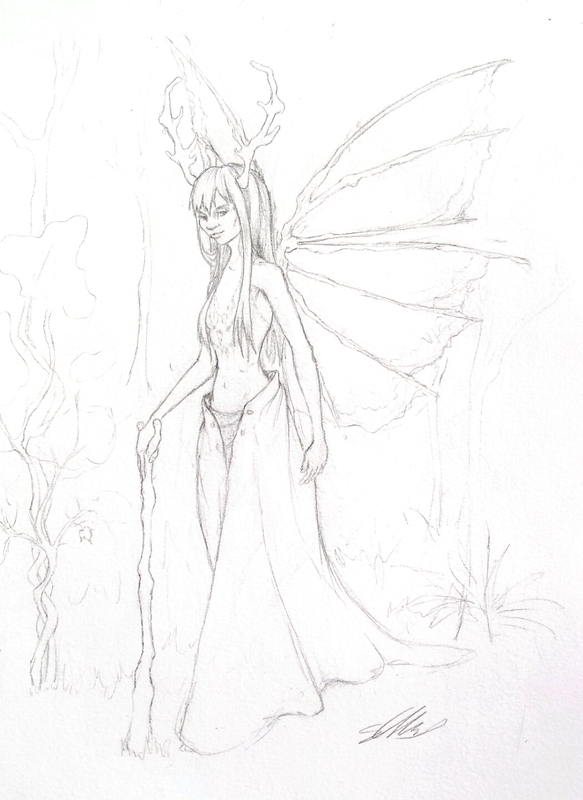 Work in progress for fairy faun. I’m loving the face but hating the skirt. Still, that is what the sketching stage is for!